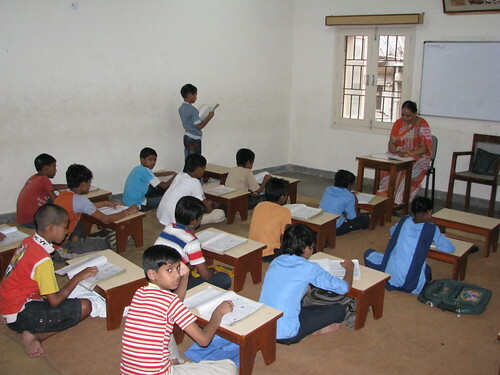 A free coaching centre for the students of schools around the Ashrama was started in 2007. Classes are conducted in the evening free of charge five days a week and students are provided with snacks/tiffin as well as uniforms. This is of a great benefit to the children studying in the Municipal Schools in and around the Ashrama. The introduction of eLearning environment with digital Smart-Boards and an interactive atmosphere fosters greater learning amongst the students.